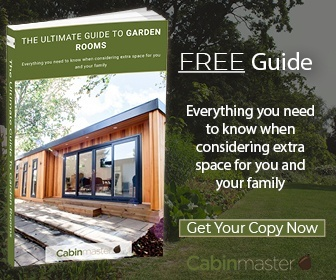 A garden room from Cabin Master offers a multitude of possibilities. Every unique garden room we create is designed and built around your needs, so taking a look at designs we’ve created for our clients can be a useful source of inspiration to help you consider the choice on offer. 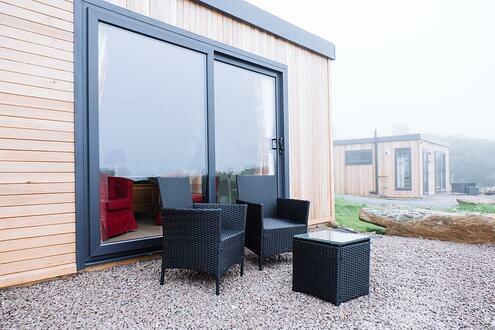 We create garden rooms in every size, for every budget. Whether you’d like a peaceful space away from the home, a garden office, home gym, or something on a grander scale, we are always delighted to share examples of our work. 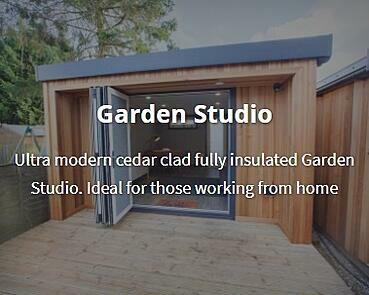 At Cabin Master we specialise in stylish cedar clad garden rooms, designed to bring the outdoors in. Our designs take advantage of light and unused space within your garden, providing additional areas for living and relaxing. 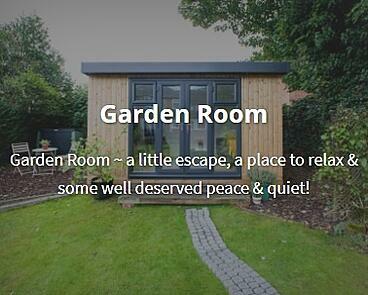 From summer houses, to music rooms, play rooms to self-contained annexes, we can create the perfect garden room for you. Take a look at this contemporary chill out space we produced for Andy and Lisa. 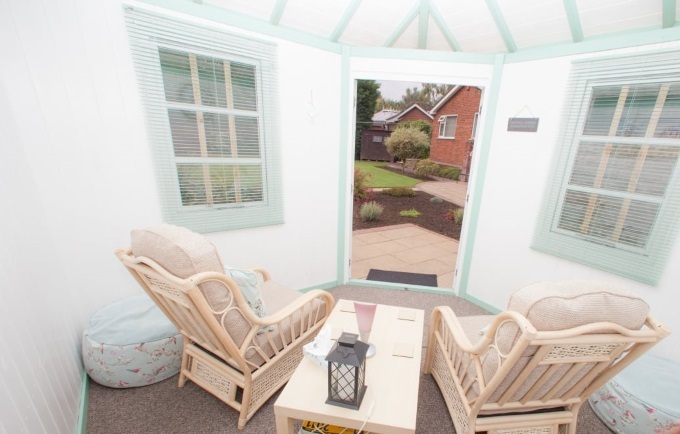 Garden rooms can provide the perfect space for entertaining. 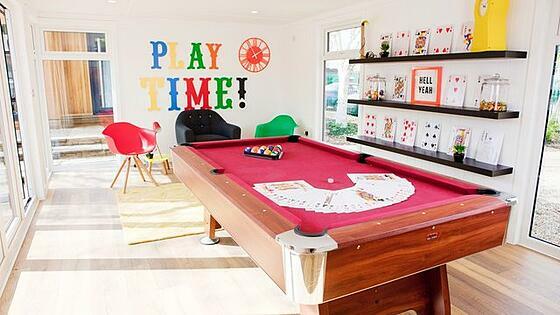 This article offers some useful ideas for spaces your friends and family will both love and envy; but be prepared, they may never want to go home! 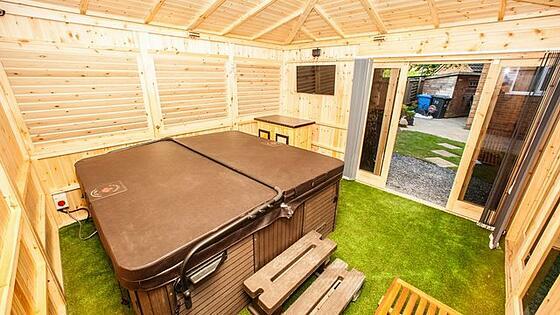 How about a relaxing hot tub room, perfect for a warm soak. 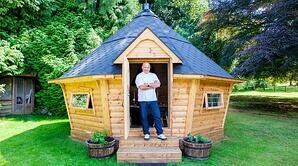 For barbeque kings, we have something special – Our Arctic BBQ cabins; which also double as an unrivalled man cave. We’ve decorated ours with reindeer skins, but you could choose any furnishings to turn up the heat on a chilly evening. You may even become a BBQ pro, like chef Aldo Zilli. Always wanted to join a gym, but couldn’t find the time or motivation? 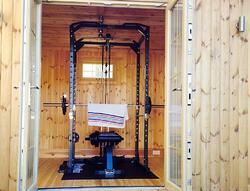 Building a home gym could be the answer. This article explains why a garden gym can help you achieve greater health and fitness results than a traditional gym. Cut out the commute and create a professional environment on your property. 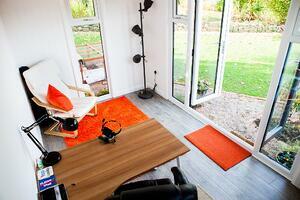 A secure Cabin Master garden office makes good business sense and helps to separate working life from family life. Caroline and Steve’s experience of our garden office installation is a typical example of the service our customers can expect. 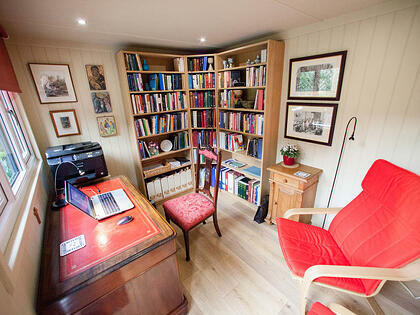 This useful article explains the investment benefits of installing a garden office from Cabin Master. Whatever your needs for space, we can create a solution around your ideas. Take a look through our gallery for further inspiration. Garden room interiors offer unlimited scope for personalisation, with a choice of flooring and finishes available within our packages. 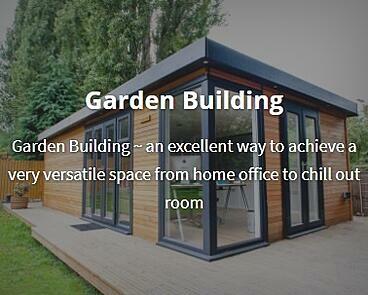 If you have the garden space, we have the expertise to turn your ideas into practical and life enhancing solutions.